Once the final fight is lost, boxing lives still need to be lived. 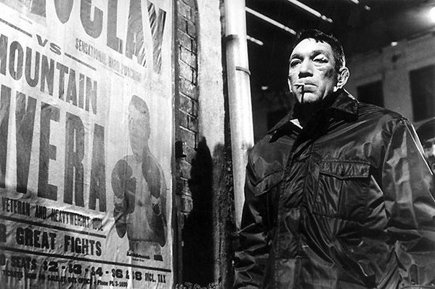 Requiem For A Heavyweight is a depressingly clear-eyed story of frequent defeat leading to abject despair. Long past his glory years, aging boxer Louis "Mountain" Rivera (Anthony Quinn) is being pounded in the ring by a young Cassius Clay. After losing the lopsided fight, Rivera's boxing career is declared over: any more punches to his eye would cause permanent damage. Rivera takes the news hard, but it's even worse for his manger Maish (Jackie Gleason): he has mounting debts with loan sharks, and Rivera is his only meal ticket. More circumspect is corner man Army (Mickey Rooney), who sees the writing on the wall, but is equally loyal to Maish and Rivera and cannot break from either. Rivera has no life skills to turn to, but employment office worker Grace Miller (Judy Harris) connects with him and sets up a job interview for Rivera to mentor children at a summer camp. The shrewd Maish has other plans: he needs to push Rivera into the crude world of professional wrestling to try and make enough money to pay off his debts. Rivera's fate hangs in the balance, but having no track record of good decision making, the odds are stacked against him. The Rod Serling story oozes pessimism. Once Rivera's fists are no longer adequate to provide him with a career, he has nothing else to fall back on: neither the intellect to avoid being duped by Maish into getting drunk ahead of his interview, nor the resolve to break free of his past and cut links with Maish and Army. Although life opens a window of opportunity and provides a helping hand in the form of Grace, Rivera's slide towards being a freak show performer is rapid, sad and irreversible. In a strong and affecting performance, what Anthony Quinn does provide Rivera is a deep sense of pride and self-awareness, capturing a man realizing that in the past, he had a shot. This will need to sustain the once proud contender into a future that promises only a downward spiral of increasing humiliation. 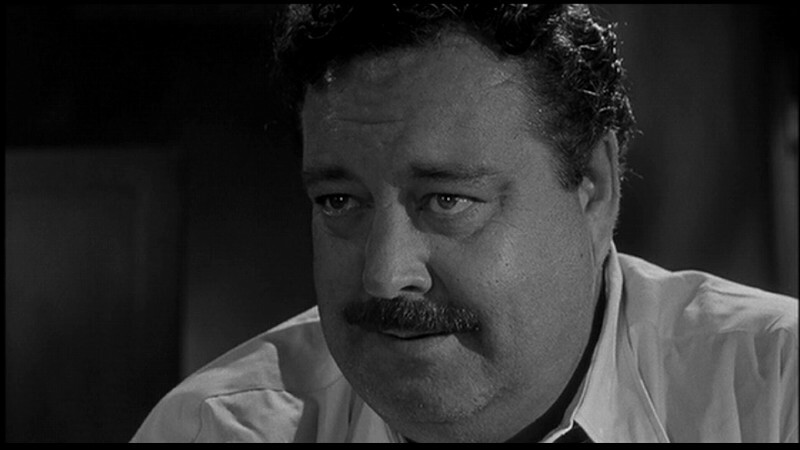 Jackie Gleason and Mickey Rooney give sweaty presence to the desperate characters who live in boxing's filthy corners, trying to hitch a ride to success on the back of a dim boxer but neither talented enough to actually guide his career nor smart enough to avoid the deep financial crises that come to dominate Maish's life. Julie Harris as Grace is the shining beacon of light bravely cutting through the gloom of Rivera's darkening destiny. Salvation is there for the taking, but Rivera is heading away from it too fast to hold on. A young Cassius Clay makes an appearance as himself, pummelling Rivera in an impressive point-of-view sequence to open the movie and close out Rivera's career. One real boxer on the way up to the highest peak of the sports world, another fictional boxer on the way to the sports dustbin. The rest of Requiem For A Heavyweight is about life immediately after boxing delivers a knock-out punch, and unsurprisingly features no action in the ring. Director Ralph Nelson makes excellent use of black and white cinematography to portray the grim underbelly of the sport, a world of men uselessly dreaming of championships while living in near-squalor. Requiem For A Heavyweight is a story of what happens when the dream of sports glory shatters, an all too common occurrence in real life but a rare and welcome entry in the typically rousing world of movie escapism.